Presenting Menya Shinchan ramen shop, the place where they serve the biggest bowl of ramen in Singapore! 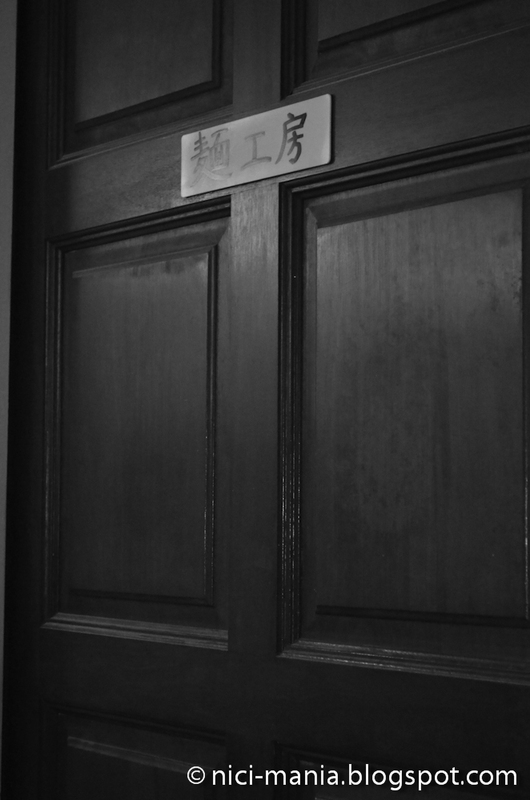 The legendary Shinjiro ramen. Exactly how humongous is this bowl of Shinjiro ramen at Menya Shinchan? Well, our Hugo Wolf here is a 25cm plush. Of course we are kidding! But look at the mountain of ramen goodness. Let's check out the Shinjiro ramen at Menya Shinchan. The first thing we could access is the ramen broth, Shinjiro ramen's broth is pretty tasteless, I mean compared to our favorite Santouka ramen and Ippudo ramen. Menya Shinchan is quite generous with the char siew for Shinjiro ramen but the meat is not really tender and taste wise, it is not really deeply marinated. 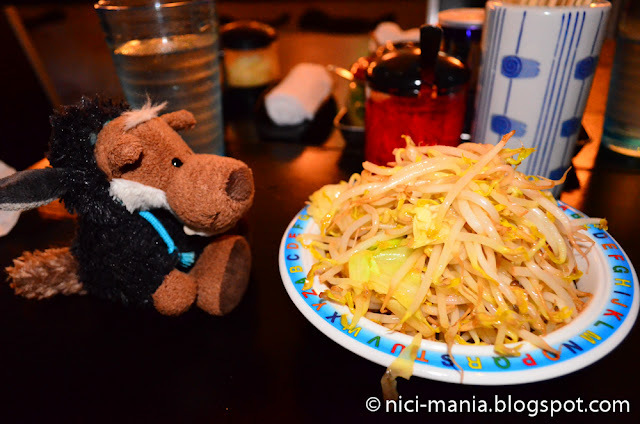 We had to ask for a small bowl to clear out the vegetable toppings on top of the Shinjiro ramen to access to the ramen noodles below. This is one big bowl of cabbage and bean sprouts, wow.. The ramen noodles below is a monstrosity too! 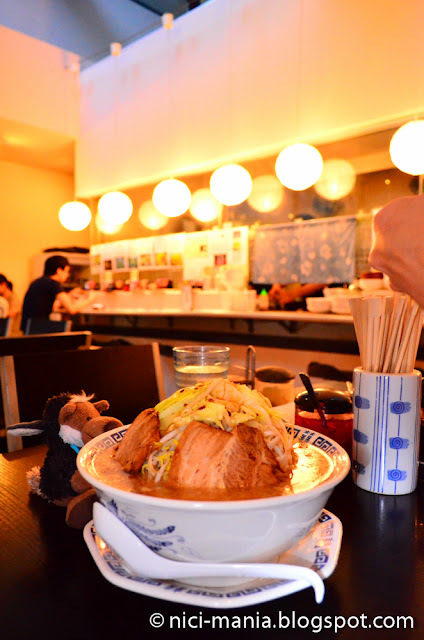 We really think that Menya Shinchan is crazy to design such a huge bowl of ramen. 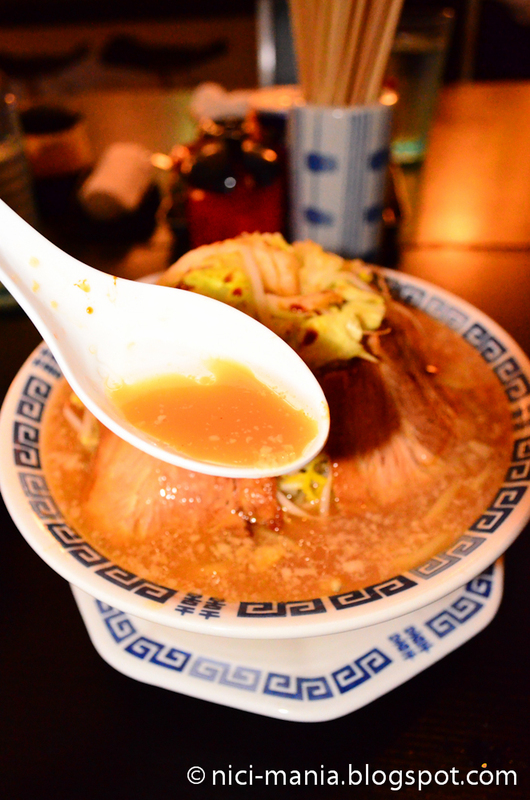 You must be really really hungry to be able to finish this bowl of Shinjiro ramen. 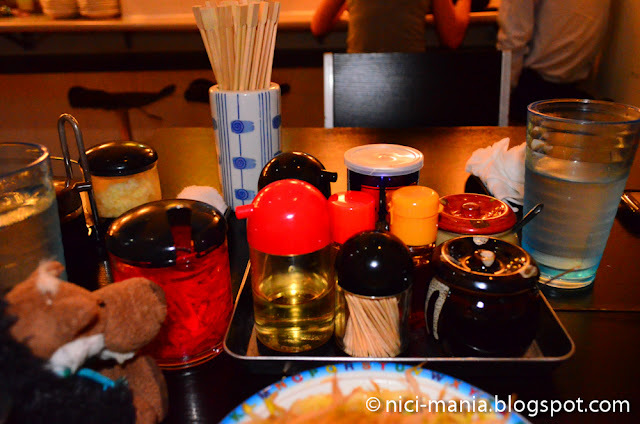 There is a tray of condiments on every table at Menya Shinchan. Besides the usual suspects like Shichimi (7-spice powder), Ra-Yu (chili oil), there are some weird condiments like black pepper and garlic sauce. 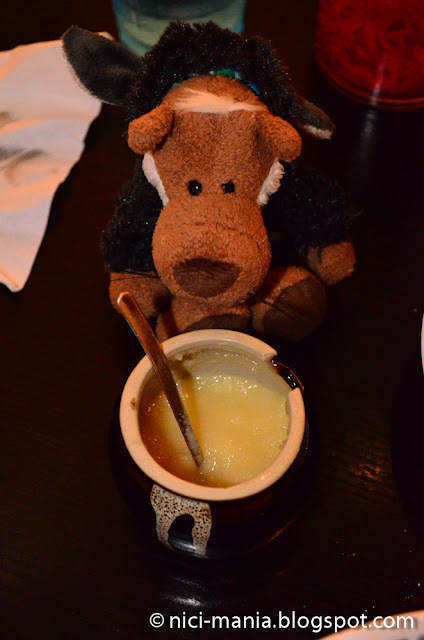 This garlic sauce is yummy to go with the Shinjiro ramen, or any ramen at Menya Shinchan.We just love garlic! Oh ya, we forgot to mention..the ramen noodles at Menya Shinchan is probably handmade there instead of imported from Japan. The words on the door says "noodle factory". One thing we are rather picky about is that the noodles we had for our Shinjiro ramen wasn't exactly the type of ramen noodles we'd expected. The ramen noodles at Menya Shinchan is quite thick and flat, without the usual springy texture expected from normal ramen noodles. It is just too soft to our liking. 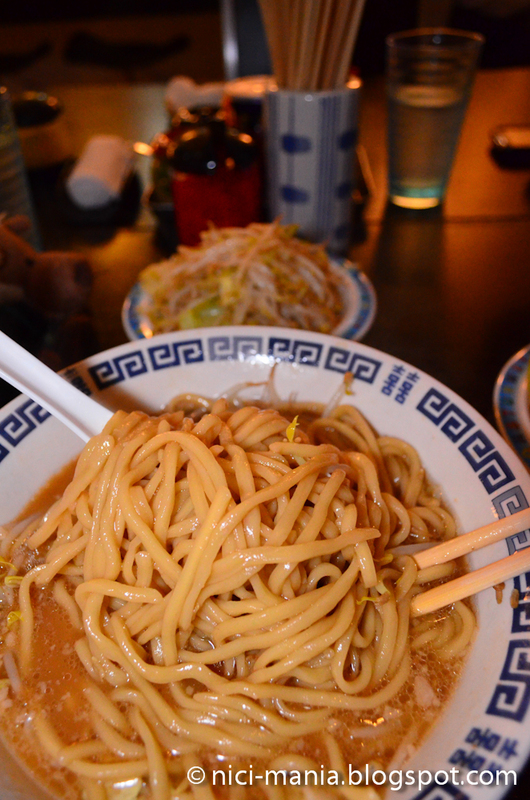 We find that the Menya Shinchan noodles resembles the local "fry Hokkien noodles" in Singapore. 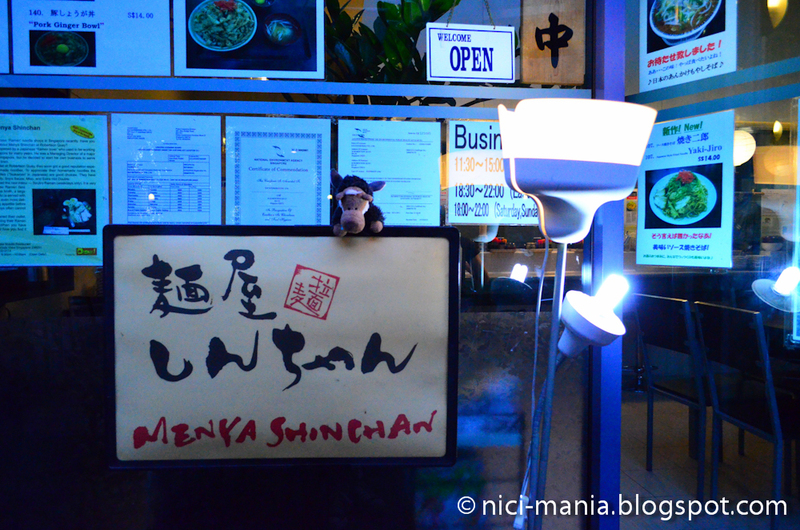 Menya Shinchan is located at Riverside View at Robertson Quay. 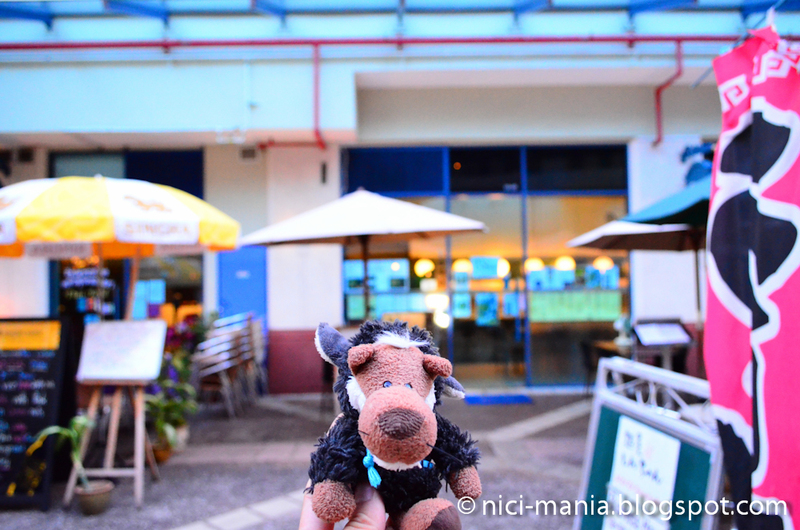 It took us quite a while to find Menya Shinchan because when we reached Riverside View, we were walking around and missed this little alley at the side. 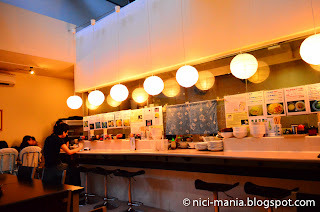 Shinjiro ramen is the flagship ramen at Menya Shinchan, in case you were wondering why we only ordered Shinjiro. 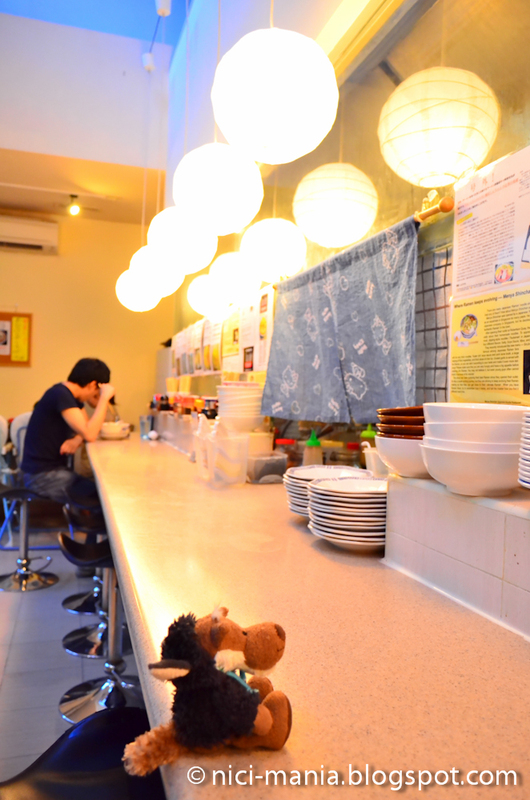 While we were having our meal, majority of the customers order the same ramen too. 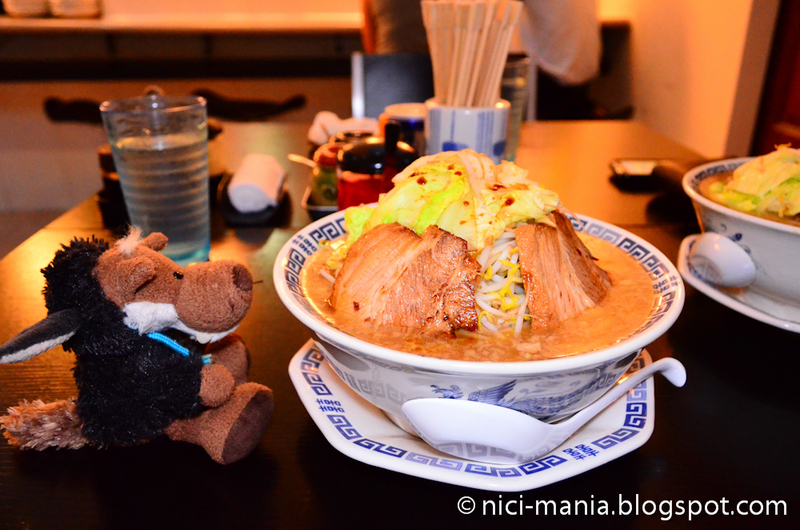 What we like about Menya Shinchan, the entourage was pretty good. 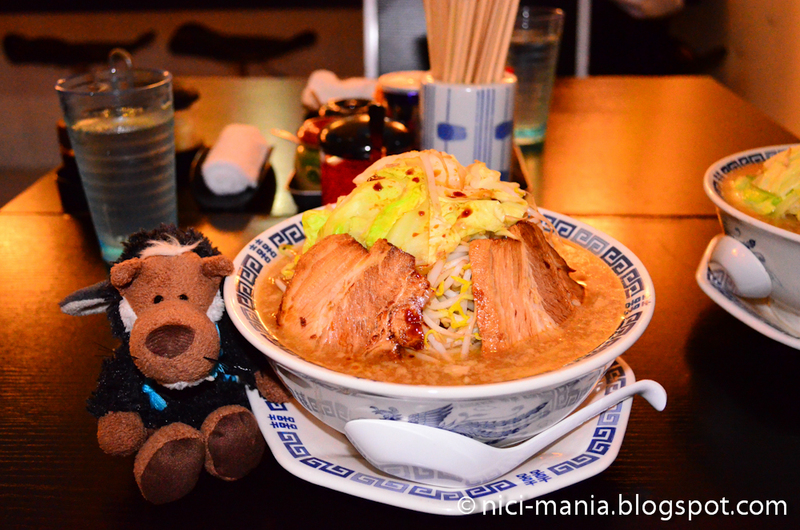 We find one bowl of Shinjiro ramen at Menya Shinchan is too much a one person to eat. Grab a friend to share with you. 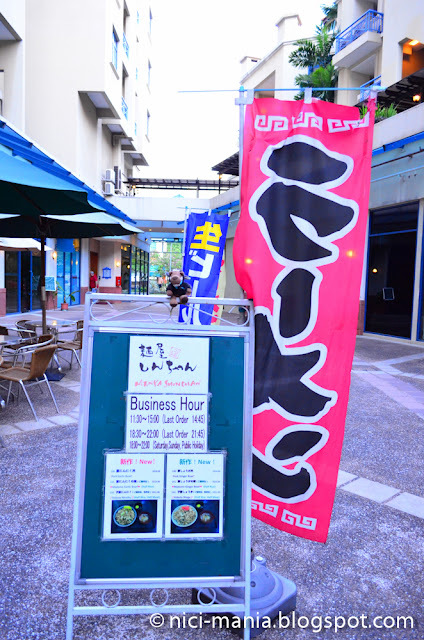 Although the Shinjiro ramen wasn't exactly what we like but the monstrosity with an affordable price tag certainly attracts many. 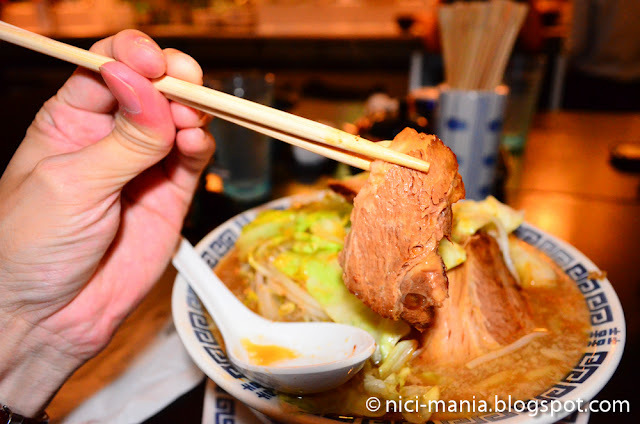 Check out Santouka Ramen, our favorite ramen and the reason why Menya Shinchan Shinjiro only got 2 stars as our review was based on that standard. 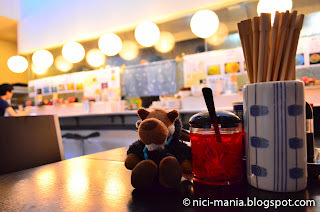 We will be back to try other flavors of ramen at Menya Shinchan. Wow, it is a BIG sized menu!, I wouldn't be able to finish it for sure! He sure isn't a picky eater, all the things I see on the pictures I never ate before. Are you planning to be a food criticus? 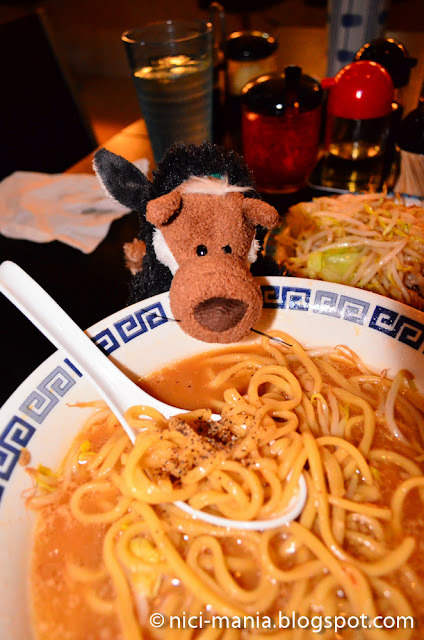 @Leona Löwenherz: Yes you're right Leona, we should have brought more plush with us for this huge bowl of ramen!